Cover Design by Sandy Lo. ANNA MARIA ISLAND, FL—May 2, 2014—Sandy Lo, best known for the Dream Catchers book series and her work as a celebrity journalist, traveling barista, entertainment publicist and vegan foodie, is releasing a new novel, INDIGO WATERS. The concept for INDIGO WATERS came about in the summer of 2013 when Lo set sail on a wild dolphin expedition, which had been on her bucket list since she was a little girl. A passionate animal activist, Lo knew the easier, more affordable way to accomplish her dream was to visit an aquarium where dolphins are held captive. Lo, instead did her research and came across www.dolphinexpeditions.com, which didn’t support entrapping dolphins to interact with their guests. Some of those wonderful people even inspired characters in the book. The cover for INDIGO WATERS was recently released, designed by Sandy Lo herself, and featuring photos from the expedition’s resident cook and photographer, Tita Dimnik, along with an image featuring the boat’s young apprentice and inspiration for the novel’s main character, Cosette LeBlanc. INDIGO WATERS is about overcoming tragedy, moving beyond fear, discovering passion, and building strong relationships of all types. Everyone fears something. What makes Cosette Hadley’s fear different from most is that it is also her greatest love, water. As a child she found solace in the water, but after a tragic boating accident she hasn’t feared anything more. Madeleine, Cosette’s sister, known as the wild child of her family, prided herself on being fearless and always searching for a good time. The two sisters couldn’t be more opposite. After some unexpected news, the girls find themselves spending the summer living aboard a dive boat in the Bahamas with a family friend. After five years of not being in the water, Cosette finds herself confronted with the one thing she works so hard to avoid. Fin Hughes, the Captain’s son, is tasked with the duty of getting her back into the water. Handsome and arrogant, Fin finds himself torn between the two sisters. Are his feelings for Cosette worth pursuing, or does he give into the flirtatious ways of Madeleine? The Hadley sisters need to overcome personal obstacles. Will they finally realize they need each other to survive this summer? 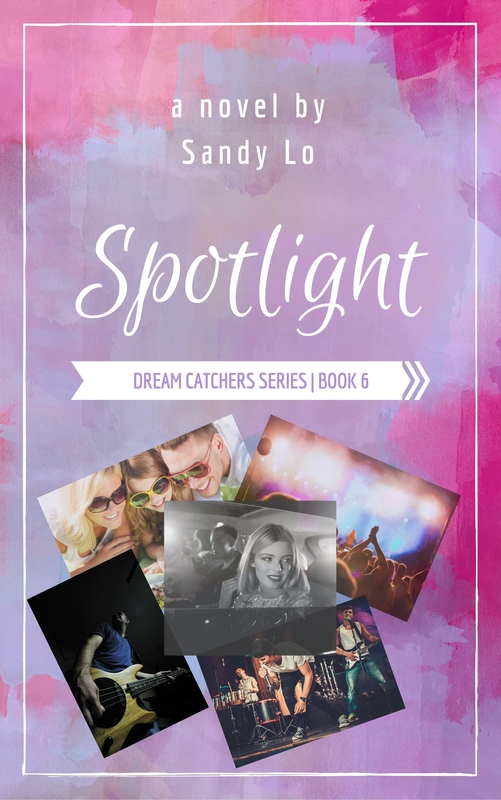 Sandy Lo was born and raised in New York City, but considers herself a free spirit. The past few years, Lo has traveled to different areas to write novels and for her work as the editor of www.halffullmag.com, where she is known as the Traveling Barista, vegan cook, and encourages others to live life with a positive attitude through blogs and celebrity interviews. Her novels, Dream Catchers, Breaking The Moon, and The Watch Dog have reached various best selling lists on Amazon in their respective genres.